There are many others who’d agree with Riley’s statement, particularly municipal officials trying to entice new business and industries to their cities and towns. The state of Minnesota has had several champions to its cause of providing highspeed Internet access — among them the Minnesota Initiative Foundation, the Minnesota Intelligent Rural Communities organization and the Blandin Foundation — all of whom have either conducted studies, provided funds or both to improve the broadband access to rural communities. In 2002 Blandin Foundation decided to strategize about what it would take to have cities, towns and rural areas in Minnesota fully utilize broadband-based technology. To that end it set out to further awareness of its value, increase business and residential use of broadband and strengthen public and private investment in rural broadband capacity. According to its website, www.blandinfoundat ion.org, Blandin Foundation believes high-speed Internet access revolutionizes business, government, education and lifestyles. It creates new jobs and puts workers in competitive skill and wage levels with others around the globe. Since making broadband access a focus in 2003, Blandin Foundation has partnered with leaders in 70 communities and 110 organizations across the state of Minnesota. Hundreds of projects and programs were made possible through these partnerships and grant donations. Blandin Foundation announced in August that it was extending that focus through 2016 with up to an additional $1.5 million in grants and technical support to rural Minnesota communities. The Aug. 24 press release stated that 30 grants totaling $314,513 would be going to Minnesota leaders to assist growth of high-speed Internet access and strengthen existing work happening in communities that have been designated as Blandin Broadband Communities (2014–2016) or Minnesota Intelligent Rural Communities (2010–2013). Some of those communities in the extended program include Carlton County, Central Woodlands (east central Minnesota), Chisago County, Martin County, Redwood County, Red Wing, Renville/Sibley counties, Resilient Region 5 (north central Minnesota) and Sherburne County, which were all successful in leading their communities’ bids to become Blandin Broadband Communities. 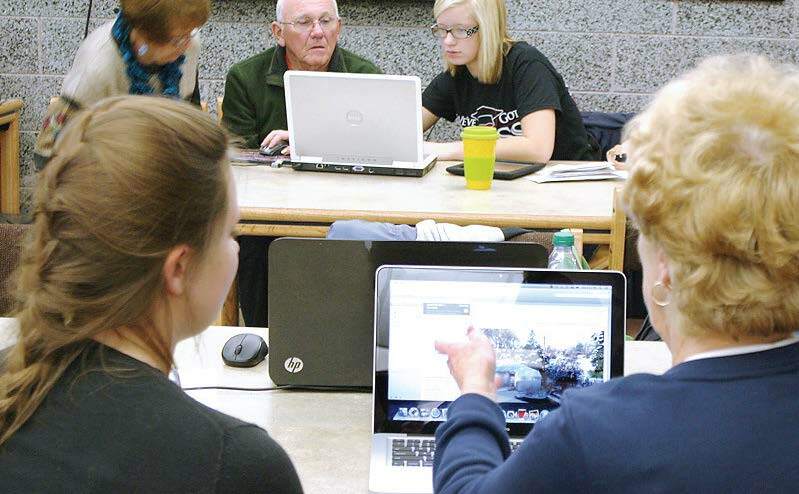 They will join eight existing Blandin Broadband Communities already making progress toward meeting their technology goals. Fond du Lac Reservation, Itasca County, Kanabec County, Lake County, Lake of the Woods County, Lacqui Parle Valley School District, Mille Lacs County and Southwest Minnesota Broadband Services all have made the commitment to continue their community broadband work in partnership with Blandin Foundation through 2017. In an earlier partnership with MIRC, 11 communities were beneficiaries of Blandin grant funds and support. The 11 “demonstration communities,” as they were called, were measured at the start and end of the program on certain indicators in areas such as marketing and advocacy — the overall quality of online economic development, digital inclusion — percentage of households with any type of Internet access and the price of broadband, broadband penetration, education performance, plus attainment and innovation by business and government. The study took place over 18 months and the statistics of all the communities combined showed an overall 9.4 percent improvement. Across the board the category that showed the greatest improvement in the shortest time at the least cost was marketing and advocacy where scores improved by 26 percent. The next greatest improvement was in digital inclusion. The average cost of megabits per month in the demonstration communities was $72 versus $11 for densely populated areas. At the end of the study, the cost had not gone down, but the expanded public access and locations raised scores 14 percent. One demonstration community that showed the greatest improvement from start to finish in nearly all categories was Windom, Minn.
Windom is a city located about two hours from Minneapolis in Cottonwood County. It had a population of 4,464 in the 2010 census. City Administrator Steve Nasby explained the history of broadband in the city — some of which took place before he took his current position. He said that in 2004 the city passed a referendum that embarked the city on a journey of building its own system. Nasby said to his knowledge the city received Blandin Foundation funds a couple of times with the first time being around 2006 when it received $100,000. It used the funds for its PC’s for People program and to help build its broadband system. 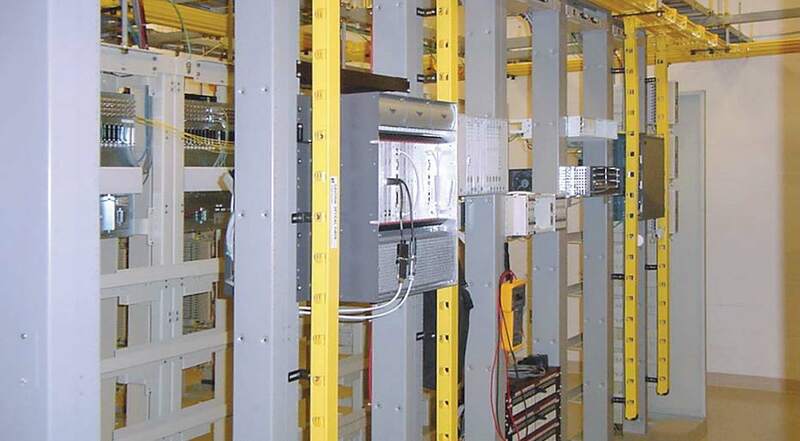 Nasby said the city already had its own cable system, so when the referendum passed it was able to upgrade their existing system. The PC’s for People program refurbished donated computers and distributed them to lower-income communities and the elderly, who also received reduced Internet rates for a period of a year. Also in about 2008–09, Windom worked with eight other nearby communities to create a consortium. They then applied for and received federal grant money to bring fiber optics to those communities. Nasby said Windom Net had a B2B relationship with Southwest Minnesota Broadband Service to partner to bring the service to the homes. “We act as a hub and sell the service to them,” he explained. All this occurred prior to the inclusion as a demonstration community in the 2010–13 MIRC/Blandin Foundation study. They had the infrastructure in place and now needed to know how to help businesses and residents better utilize it. They created FindingWindom.com, a community portal that helped businesses create a strong online presence. As a result, by the end of the study, they had a 30 percent increase in marketing and advocacy scores. 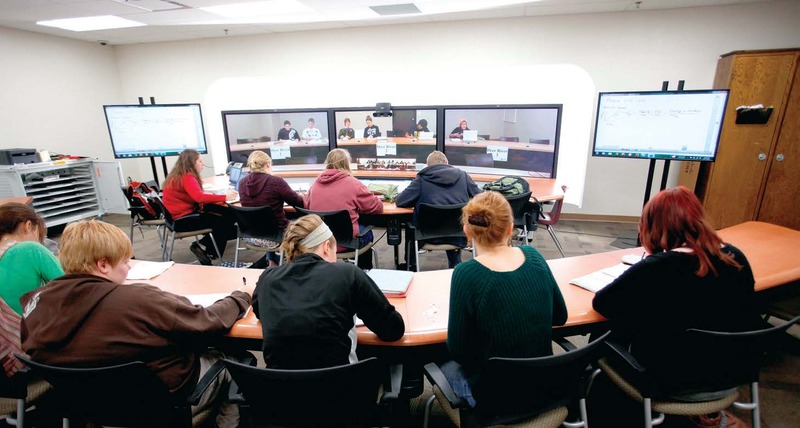 The city also made substantial investments into videoconferencing equipment, and computer and training opportunities were made available at Windom’s Business, Arts & Recreation Center and Windom Education and Collaborative Center. It created teleconferencing capabilities and public access to higher education classes — something it had never had before. It had the largest increase in the education category of the demonstration communities at 16 percent. Residential and business subscriptions increased from 63 percent to 70 percent. It also installed laptops in all 14 emergency vehicles; purchased iPads for Windom High School, which students utilized for innovation and interactive learning; and obtained wireless routers for Windom schools and iPads for Windom Hospital, allowing patients to look up medical records, etc. Nasby said the benefits of being a recipient of this type of investment have been widespread. Just having the infrastructure allows for things like video streaming and increased quality of Internet access. The broadband access has been key to the city’s businesses. Windom is home to one of Toro’s plants and it’s probably the largest employer. Broadband access has given the Toro employees the ability to move CAD files and share information with its headquarters in Bloomington, Minn. — things that are imperative in the modern workday. He said that Windom was recently designated as a primary data center site — “a principle location on the Internet Super Highway,” he added. For other cities or states looking to incorporate broadband into their communities, he said the first decision is whether to go with an incumbent provider or create your own infrastructure. “Even if you have the basic backbone and just have city hall or a county building connected, once it’s in place that gives you leverage,” he said. Nasby said that seems to be the biggest question when it comes to broadband, and in the state of Minnesota, the option to go either way is provided — which in Nasby’s opinion is the right way. He said in a lot of cases there’s an incumbent provider, and if you can go that route, great but it didn’t work out for them so the taxpayers voted to create their own utility. By definition, broadband Internet includes any high-speed Internet service (10 megabits per second download) whether it is delivered by cable, DSL or fiber optic lines. Most municipalities where high-speed Internet access is already available are referring to fiber optics when they speak about broadband, but it’s important to note that in remote rural areas where no form of high-speed access was previously available, it can also mean cable or DSL. However, the Federal Communications Commission updated its benchmark for broadband to 25 megabits per second for downloads and 3 Mbps for uploads this year, increasing the number of rural homes and businesses that would be considered without access.